Macau is a crazy mix of China meets Lisbon on the South China Sea. After a short but surprisingly choppy hydrofoil ride from Hong Kong, we decided to sample some traditional Macanese food - and what better place then Albergue 1601, hidden in a colonial era courtyard in the backstreets of the city centre. The massive camphor tree is an added bonus! 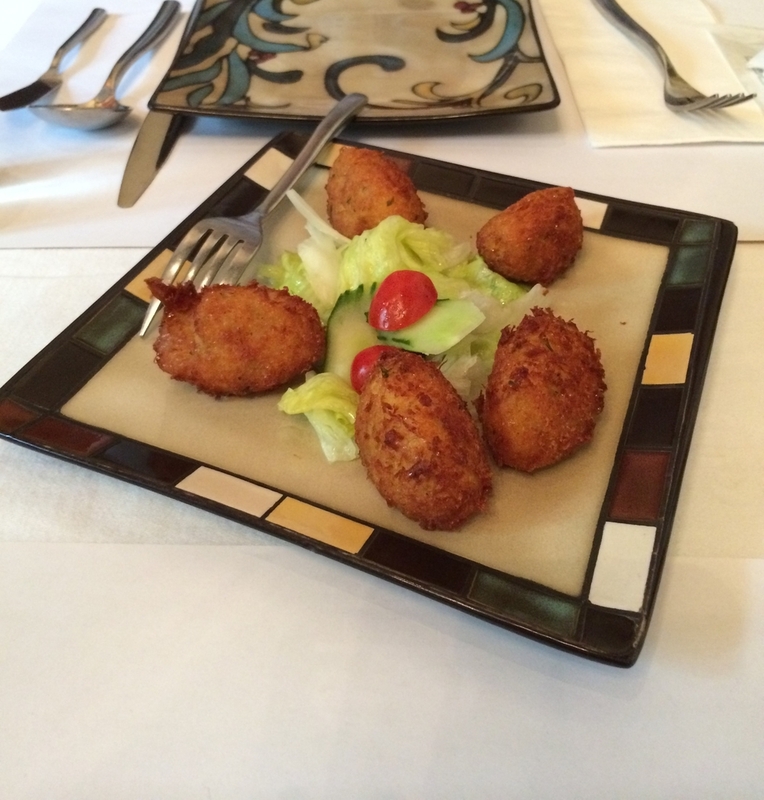 To start came the bacalau (codfish) fritters. Moist inside and perfectly crisped up, these reminded me of sitting in a cafe in Porto. The salad was nicely dressed as well, and actually much appreciated as we managed to have little fresh veg over the past few days in Hong Kong. For the mains, we shared African Chicken and Duck Fried Rice, two Macanese specialities. Think BBQ meets peri-peri and spicy curry for the African Chicken, a tribute to Portugal's days of empire. This came with a tasty hot-sauce (not overly hot in my opinion, but I'm a spice fiend) and some nice sweet potatoes. Duck-fried rice is incredible. It's like a Chinese paella, with shredded duck in a rich tomato flavoured rice and a few slices of 'chorizo' on top to bring you right back to the Iberian peninsula. If you ever find yourself in Macau, lose the crowds and definitely make your way here. It's a complete jumble of worlds and cuisines that somehow works perfectly. Come even if it's just for the courtyard! Food intake from around the world. A hunger message produced by the stomach to tell the brain we need to eat. It prepares the body for food consumption and makes meals feel rewardingly tasty.